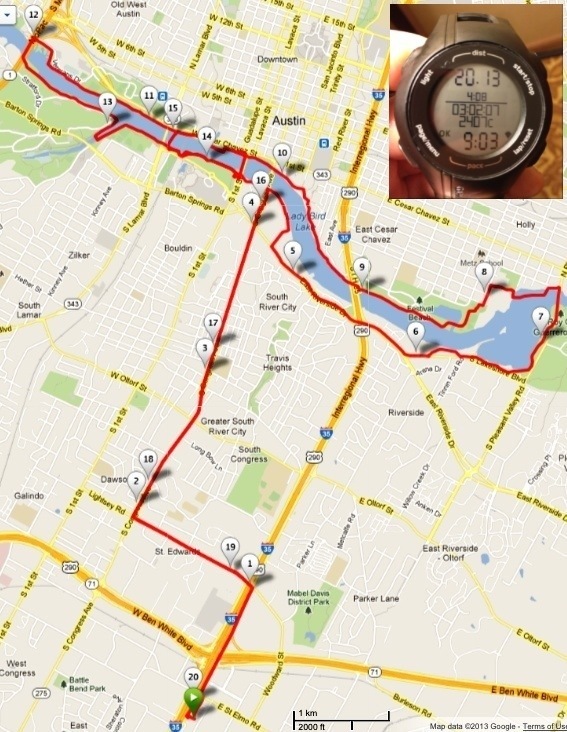 I’m on a quick trip to Austin (not for SBSX) and did my planned 20-miler as an out & back/loop around Lady Bird Lake. I’m sure there are some nice views & sights; but, at that early hour, I missed them. I also missed the thunderstorms – they subsided by the time I left the hotel!